Photos Harrison Rietman , full gallery at his fb page Fb page - Official event web and Day 1 report: viperworlds2017.com/ . 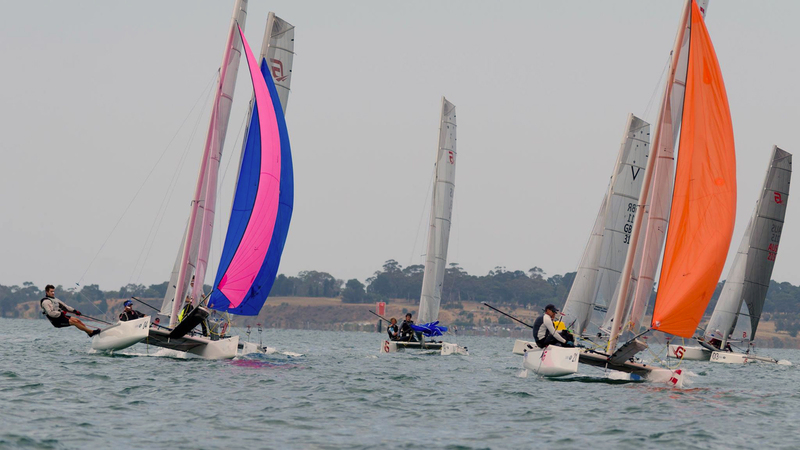 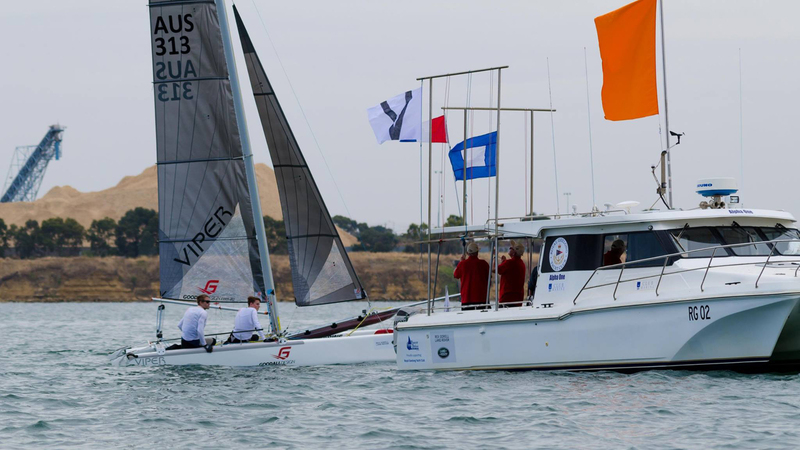 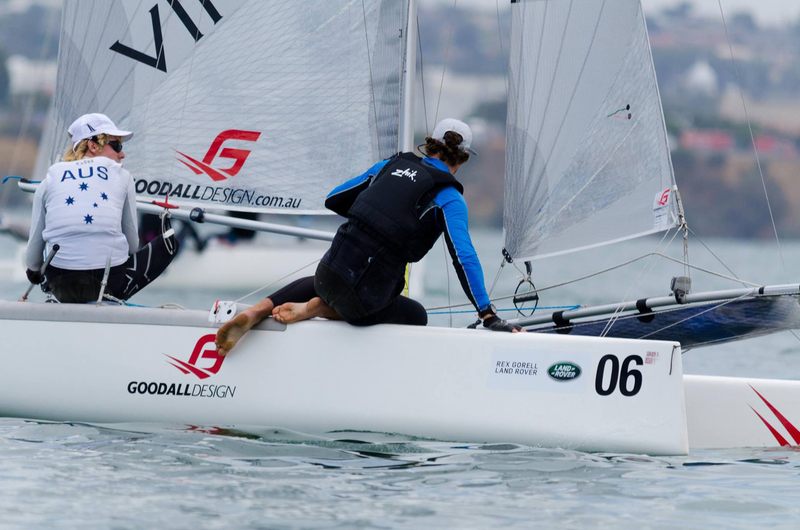 Jack Felsenthal & Shaun Connor lead after two races held at the Royal Geelong Yacht Club , located in Victoria, Australia. 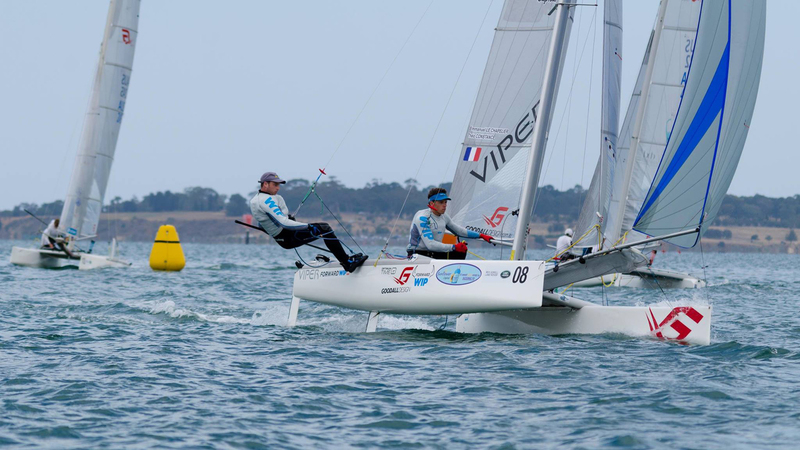 Second place for the Daniel & Nathan van Kerckhof who are also F18 sailors, and third overall for Emmanuel Le Chapelier & Theo Constance.